Full instrument panel including transponder. 2x sets of Bose headsets. 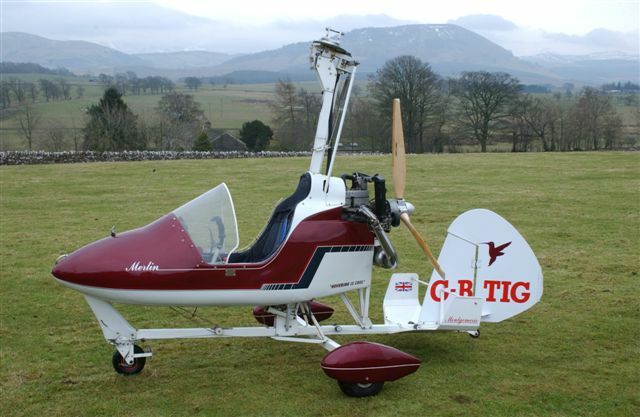 This aircraft has been meticulously maintained and will be sold with a new Permit to Fly. 52 hours only on the Rotax 914 turbo engine. 12v outlet,front and rear seats. SOLD MT03/912(S) – almost brand-New!! 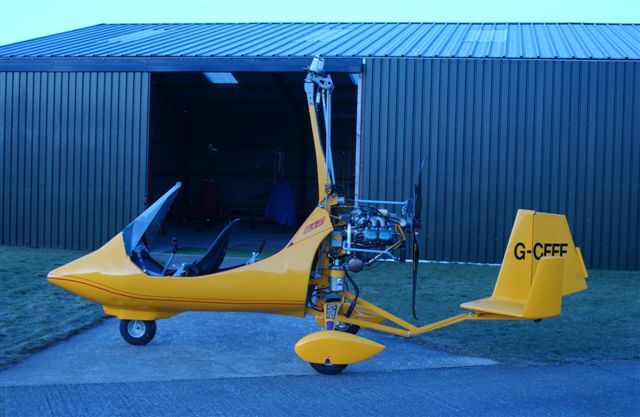 G-PILZ has flown a total of ONLY 21 hours since new. 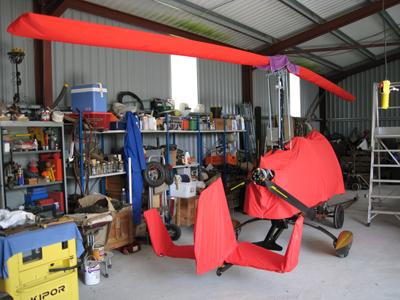 This gyroplane has been in dry storage for several years and has recently been serviced to very strict CAA guidlines. 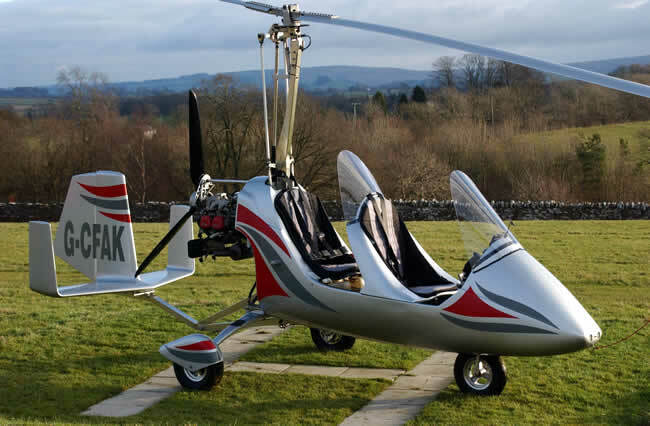 It has been surveyed by CAA for it’s new Permit to Fly which will run from March 2011. 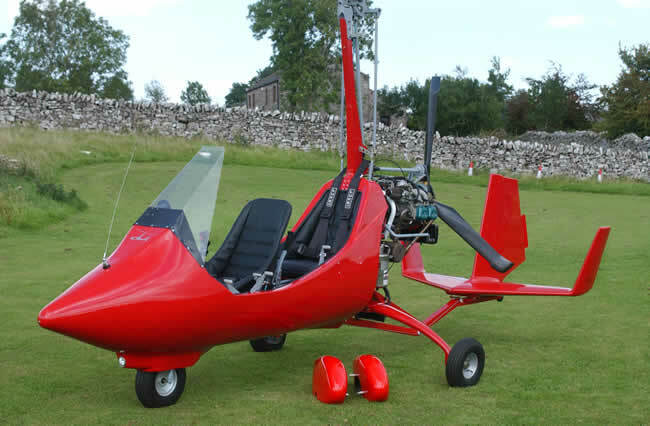 Rotax 912(S) 100 HP engine. 12v outlets,front and rear seats. Much admired and one of the nicest-looking Mts currently on the UK register. 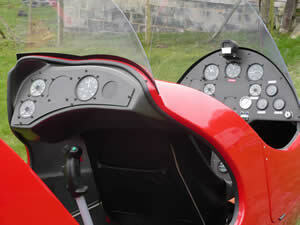 Full instrument panel including VSI. Dual controls,including rear seat instructor pack + second altimeter. circa 275 Hours since new. Maintained to a high standard and pristine condition,inside and out. Stored in a purpose-built hangar and operated from my own home strip. Training package available to buyer,if required. For Sale; ELA 0-7(S) R 100. Rear instrument panel inc RRPM.Eng RPM and ASI. Rotor blades still in original factory packing. Selling on behalf of customer. Few factory flight test hours. Been in dry storage in the UK for several years and not flown. Full instrument panel including VSI and Fuel guage/pressure. 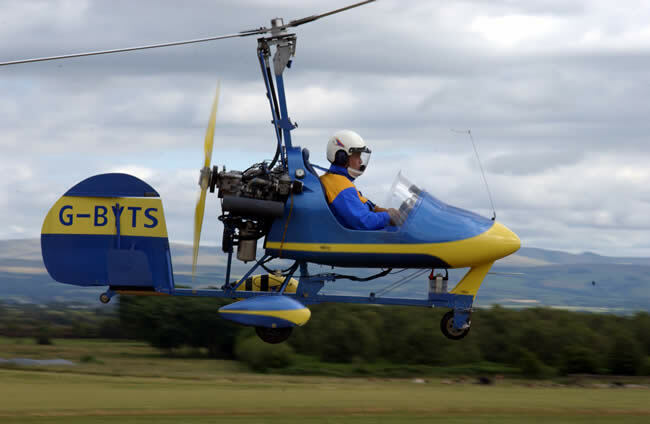 The aircraft has flown around 350 hours since new and is in good condition throughout.The rotorblades are ‘DragonWing’. 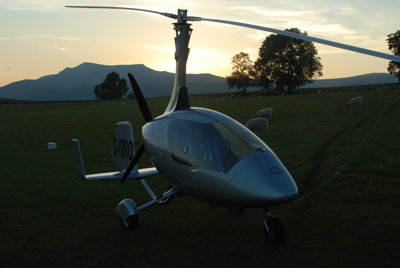 The Merlin is well instrumented and comes with a spare 3xbladed Arplast ECO prop and other bits and pieces. Extras include; Wheel spats, Panel fitted Microair 720 radio, Factory-made cover. This aircraft has been in dry storage since delivery from Spain. 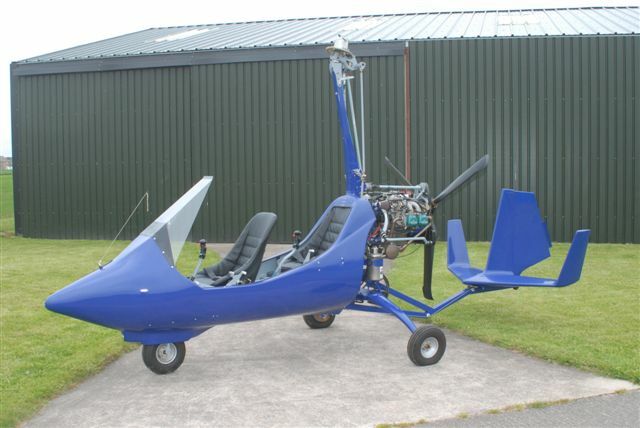 It has never been flown so has ZERO airframe hours.The engine has been run at regular intervals during storage. 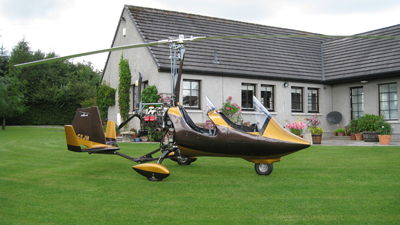 This aircraft is like BRAND-NEW and is offered at £20,500(without rotors) or £24,500 with a set of rotors,together with upgraded hub-bar. This is simply an un-repeatable bargain!! Only factory flight test hours. Full instruments, including fuel pressure guage and VSI. Rotax 912S 100 HP engine. Dual controls(complete with rear seat trim control and PTT). Three bladed DUC carbon propeller. As new, never flown(apart from factory testing). 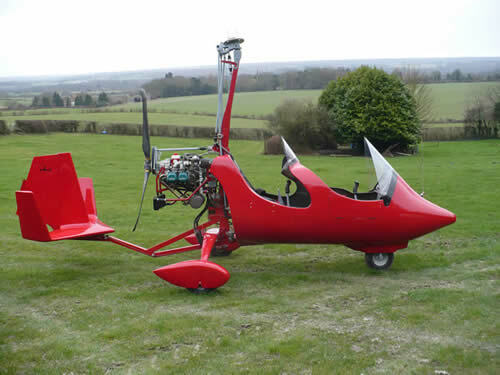 This aircraft has been in storage in the UK for several years. 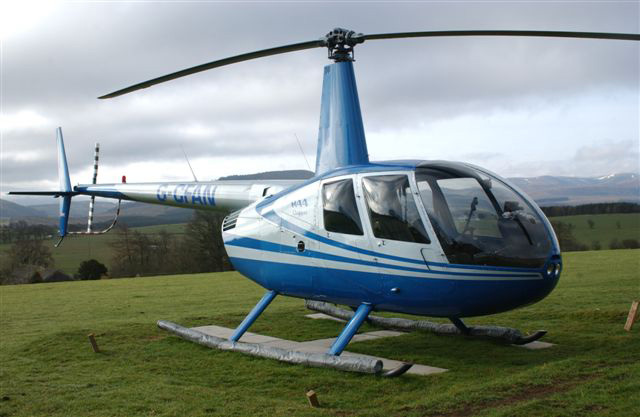 The engine has been run at regular intervals and is now offered for sale. Big instrument panel, includes Garmin SatNav. Maintained by Robinson main line agents. 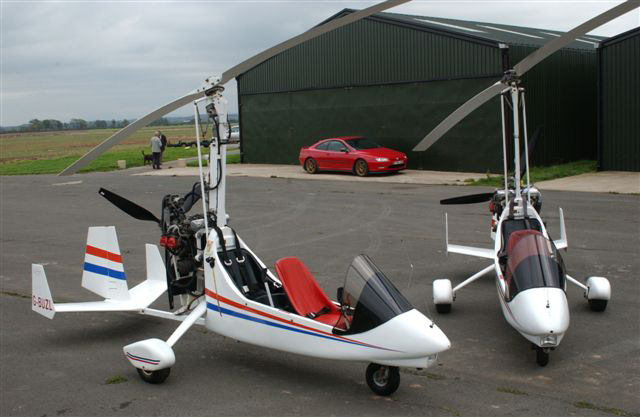 £20.500 – Rare opportunity to purchase what is arguably one of, if not the most proven two seat gyroplanes around in Europe and beyond. 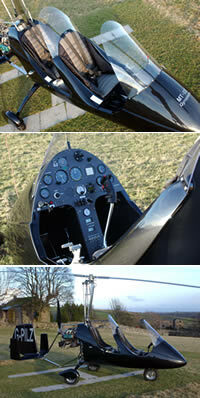 G-BUZL is a former training machine but maintained in excellent condition. Lynx powered intercom system and radio interface.